Saute sausage in skillet over med heat until brown. 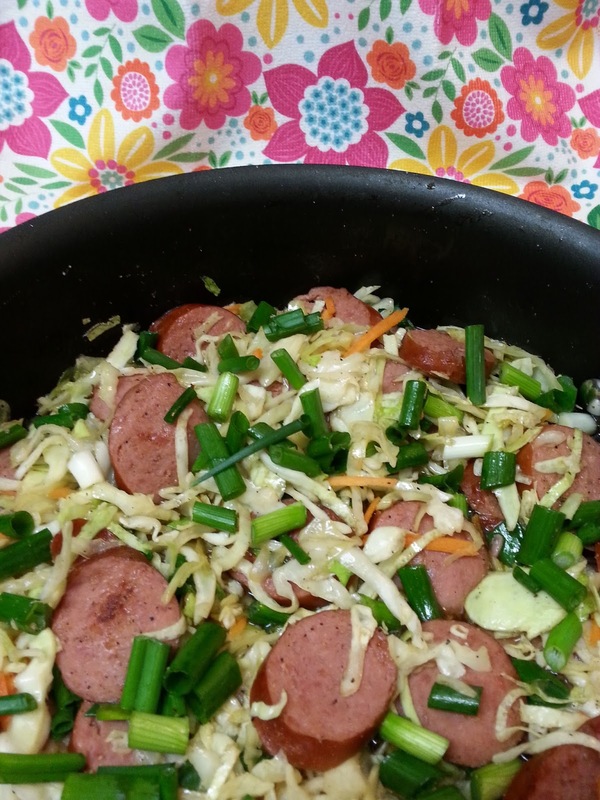 Stir in coleslaw and remaining ingredients except green onions, cook 10 minutes,stirring often. Stir in green onions and cook additional 5 minutes. Sounds great for St Patricks Day! Made this for dinner tonight. Yummy! Thanks for sharing a great recipe! Thanks for stopping by, and telling me! I'm glad you all enjoyed it! I missed this the first time around. Love it! I could see (me) serving this atop a big ol' bed of rice. This is so good on a bed of rice. Thanks, Adam! I love the the veggies still look crunchy! Nice. 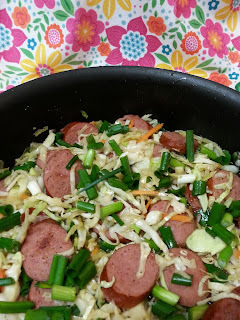 We grew up in WV eating cabbage and sausage, and I still LOVE LOVE IT!! I'm ready to dig in!! Doesn't get any better than cabbage and sausage. Sounds so flavorful, Christine! Pin it to try later!